Why? We realize last year that there was a significant demographic shift happening. Last year 85% of our customers purchased our website from a desktop or laptop computer. Over the last year, that number has flipped to 80+% of our customers purchase Keys products using a smartphone or tablet computer. What that meant to us was a need to redesign our entire store from the ground up around smartphone and tablet technologies while maintaining simple use on laptops and desktops. It was hard, but we are up and running. 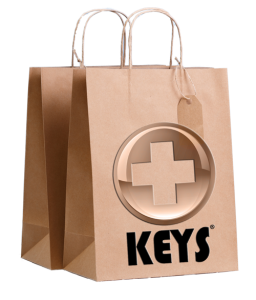 A customer contacted Keys Customer Service with three fundamental questions. The questions are mostly about being organic and safety as well as functionality. I have the answers, and they might not be what you think. I am thinking of getting Keys MetaClean Healing Soap & Shampoo, it says there is >85% organic content, what is the rest that is not organic in this shampoo? 2. When you list on the right the vitamins/actions, are you indicating that the actual ingredient is providing those vitamins, for example, Avocado Oil gives Retinol vitamin or is Retinol separate from the Avocado Oil? Read my answers in our latest article on Clean Green Cafe. Keys, Thievery Corporation and CafeCody.com – An Unlikely Group. Every company has many stories of how it started and defining moments that changed the course of its history. For us, Thievery Corporation and Cafe Cody were defining moments. Every entrepreneur has good days, average days and some really bad experiences that teach, scar and modify you. Creating defining moments mark course changes for everyone. It is how we respond that separates us all. Solar Rx Daily Sunscreen – Anti-Aging, Sun Protection, BB Cream and More! Regimen DIY Save 10%, Bye Bye Collections and Kits! Super Lice – RediCare Works! Balding? Hair Re-growth? – Keys Island Rx! Keys Solar Rx – Now Smoother! Our very popular Tortuga lotion is now available at a discount if you buy 6 or more at a time. Just add 6 or more Tortuga lotion to online store basket and the normal $16.95 price will be reduced to $15.25 each automatically. This is a $10.20 savings on 6 and even more savings if you buy more than 6. Surgeon General Connects UV to Skin Cancer. Solar Rx Selling Off Shelves! Polluted Pets – What we are doing to our pets! RediCare – Not Just an Insect Repellant. Keys to Donate 10% of KODA Sales to Gabi Wolf Recovery! Tortuga Turns 100 Years Old. Keys KPRO Cosmetic Products – Now Available! Where are all the travel sizes and sample? KODA OmegaLife – Fish Oil Alternative! Polluted Pets – What are we doing? Probiotics & Probiome – Feeding Your Skin! From Cal Watchdog Even Dogs Have A Nanny In CA Katy Grimes: A California state Senator has authored a bill which would regulate pet grooming and require dog groomers to pay a whopping $350 for a state-issued license. As if the state Legislature’s attempt to require helmuts for skiers and snowboarders, licensing hair braiders, and and imposing child-car seats restrictions just isn’t enough – California now wants to monitor and regulate the bathing and clipping of Bowser and Fluffy. Will legislators be creating a new state agency to do this? Public Enemy #1 – Sodium Laureth Sulfate, It’s in everything! Parabens – Just another Dirty Dozen Chemical? Sun Damage – Before and After on the Same Face? The Not New Solar Rx – Improved and Unchanged! Dogs and the Dirty Dozen – No Mix! Time To Get Wise – Dear 16 Year Old Me!